Ammo Inc 308 Winchester Ammo 168 Grain Boat Tail Hollow Point 120 Rounds in Ammo Can ammo for sale online at cheap discount prices with free shipping available on bulk 308 Winchester ammunition only at our online store TargetSportsUSA.com. Target Sports USA carries the entire line of Ammo Incorporated ammunition for sale online with free shipping on bulk ammo including this Ammo Incorporated 308 Winchester Ammo 168 Grain Boat Tail Hollow Point 120 Rounds in Ammo Can. 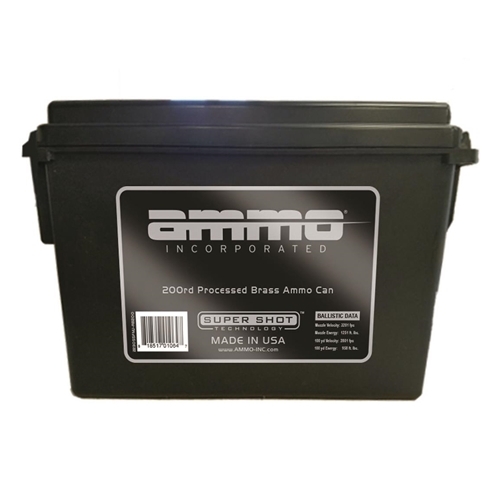 Ammo Inc 308 Winchester Ammo 168 Grain Boat Tail Hollow Point 120 Rounds in Ammo Can review offers the following information; Ammo Incorporated is proudly made and tested in the United States, providing performance-driven, high-quality and innovative ammunition products, in the sporting industry. Each load is carefully designed and tested for specific purposes, designed with the optimum balance of velocity, accuracy and recoil. Thanks to the combination of HyperClean technology, consumers are able to enjoy the shooting range and cleaning less. Ammo Inc’s manufacturing facility and our processes meet all SAAMI and Mil Spec. All production is carefully run by highly trained ammunition technicians and seasoned quality control inspectors which hand inspect each and every round prior to packaging. This 308 Winchester ammo is loaded with a 168 Grain Boat Tail Hollow Point bullet which is packaged with 120 rounds conveniently in an ammo can for ease use and transport. Each load is carefully designed and tested for specific purposes, designed with the optimum balance of velocity, accuracy and recoil. This 308 Winchester ammo is loaded with a 168 Grain Boat Tail Hollow Point bullet which is packaged with 120 rounds conveniently in an ammo can for ease use and transport. Fire every round. No misfires. Very accurate. Its not the greatest I ever used. But its not best either. It doesnt look like new ammo. It looks like reloads. Which is fine. Also the packaging isnt clean. My hands were covered with powder or whatever. This is mil spec reloads in very good condition. It's not match ammo but good plinking ammo. I have no idea why the other two reviews were so different. But this was my experience. Not factory new ammo. These are LC NATO reloads. I only bought because I read they were new below. They are in rough shape. Also the dessicant pack they shipped with broke open in transit and filled each hollow point with the grains of the dessicant. Would definitely not recommend. If you are a recreational and competition shooter, a hunter or a law enforcement official, you've heard and tried Ammo Incorporated Ammunition. Target Sports USA has the entire line of Ammo Inc ammunition for sale online with free shipping on all bulk Ammo Incorporated ammo. Order any case of Ammo Incorporated bulk ammo and shipping is free. 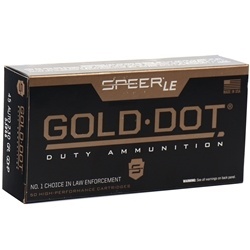 In addition to free shipping on bulk ammo, Target Sports USA sells Ammo Incorporated handgun ammo in popular calibers such as Ammo Incorporated 9mm ammo, Ammo Inc 45 ACP AUTO ammo, Ammo Incorporated 38 Special ammo and many others. Target Sports USA has all the Ammo Inc ammunition lines in stock for sale at cheap discount price including Ammo Inc Streak Ammunition , Ammo Inc Jesse James Ammunition, OPS Ammunition ,Stelth Ammunition in all the popular ammo calibers such as 9mm, 380 AUTO, 45 ACP, 223 Ammo, 308 Winchester and many others. To stay innovative and ahead of the market, Ammo Incorporated ammunition has introduced several line ammo products to the market which include Ammo Incorporated ammunition in 22LR caliber and 5.56mm NATO ammo load. This line was designed to offer long lasting storage capability by placing the ammo in a sealed ammo can. Whether you are looking for inexpensive target ammo, or competition ammo, Target Sports USA has it all with free shipping on bulk Ammo Incorporated ammo. Order any case of Ammo Incorporated bulk ammo at TargetSportsUSA.com, receive free shipping.